Control Voltage and Jeremy Highhouse are excited to announce the beginning of a series of group production classes, focusing on all the skills required to make music with your computer, controllers and synths. Classes will run for 4 weeks, begin on January 16th and will be 2 hours in length held from 7pm till 9pm on Wednesdays (01/16, 01/23, 01/30 and 02/06). Tuition is at the introductory price of $200. 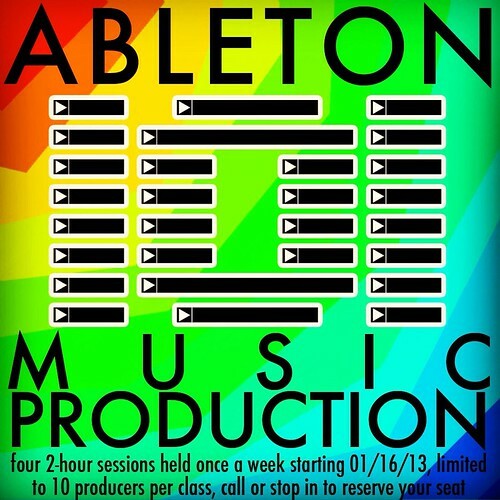 Call or stop in to sign up soon as we're limiting this first class to 10 producers.